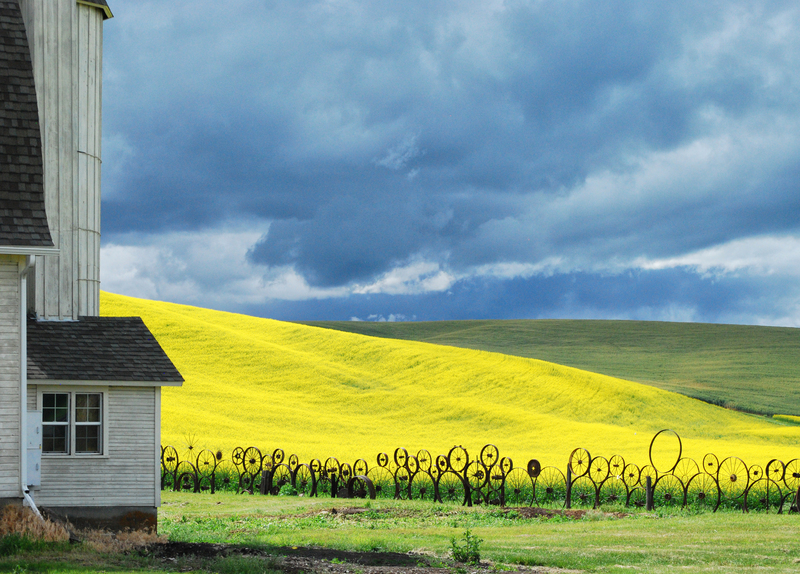 They dot our Palouse landscape, colorful ornaments set in relief against a backdrop of green, brown, and blond, identifying the farms to which they belong. 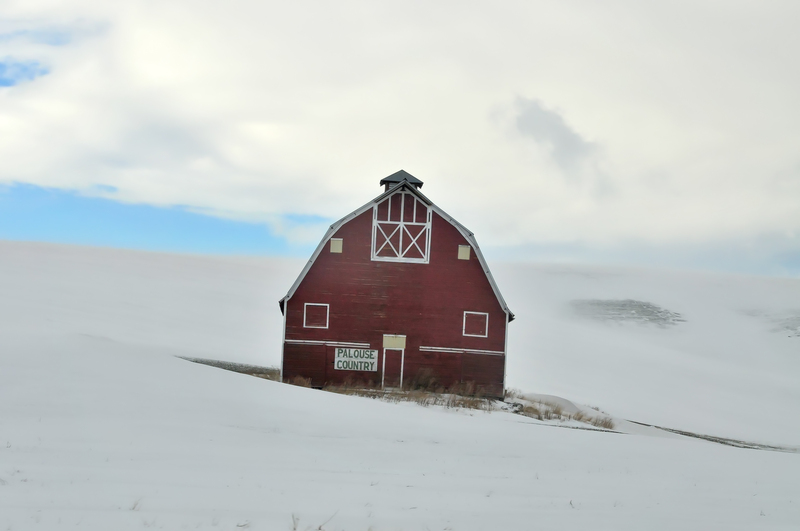 Some stand as ancient witnesses to the first Palouse settlers, whose horse-drawn plows were the first to break up the fertile ground surrounding their new homesteads. Others, maintained and preserved through diligent toil, continue to serve their current stewards. 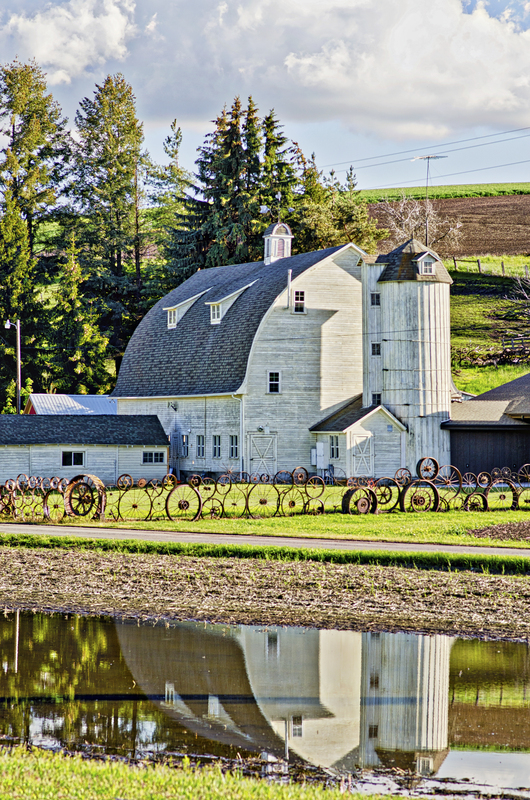 Regardless of their antiquity or condition, the barns of the Palouse beckon photographers to linger, considering how best to capture them in their pastoral surroundings. Most have names, some more familiar than others. 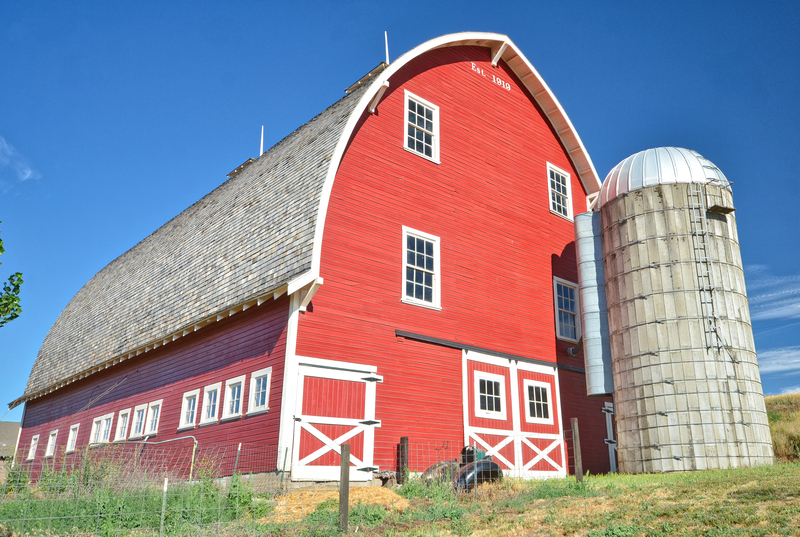 The historic Draper barn, built in 1878, is still in operation. 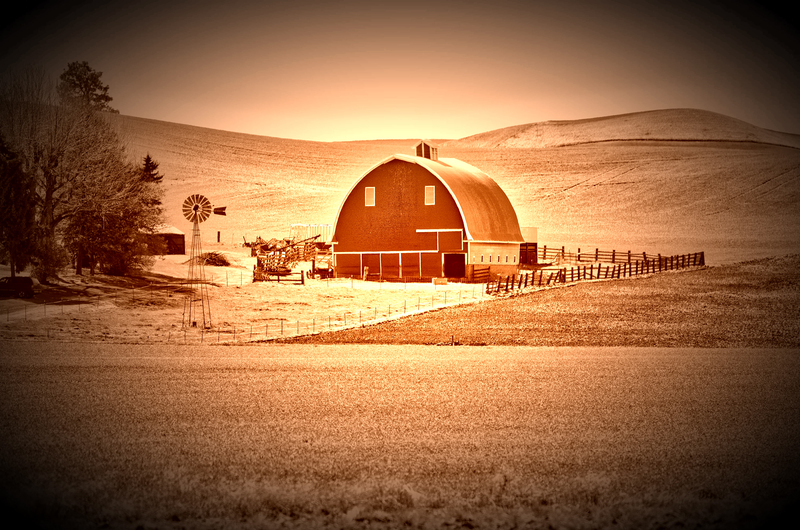 The Heidenreich dairy barn (1919), also known as the Buri barn, named for the couple that rescued and restored it; the Daily barn (1911) between Palouse and Potlatch; the Leonard Round Barn (1917), just outside Pullman on the Old Moscow Road; the restored and repurposed Dahmen Artisan Barn (1935) in Uniontown, and so many others lure us with their unique charms and stories. 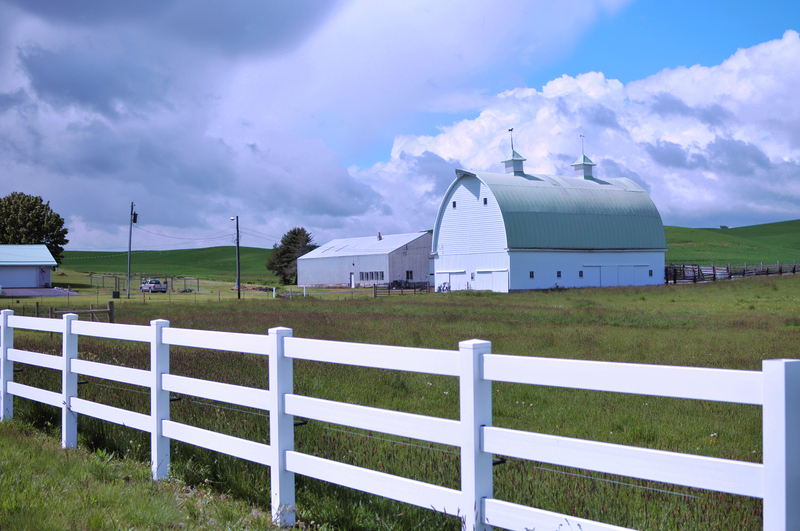 If you’re planning a trip to the Palouse, these barns are easy to find and a pleasure to photograph. Helpful maps and photography brochures are available free at local visitor centers, including the Pullman Chamber of Commerce. 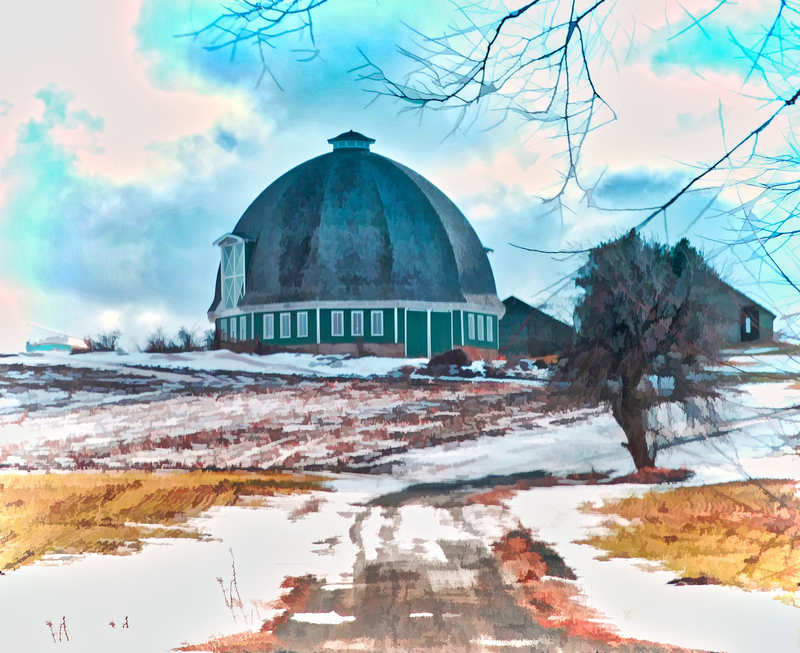 An online search can provide additional information for history buffs, and a few of the more famous barns (such as the Leonard Round Barn above) even have their own websites. 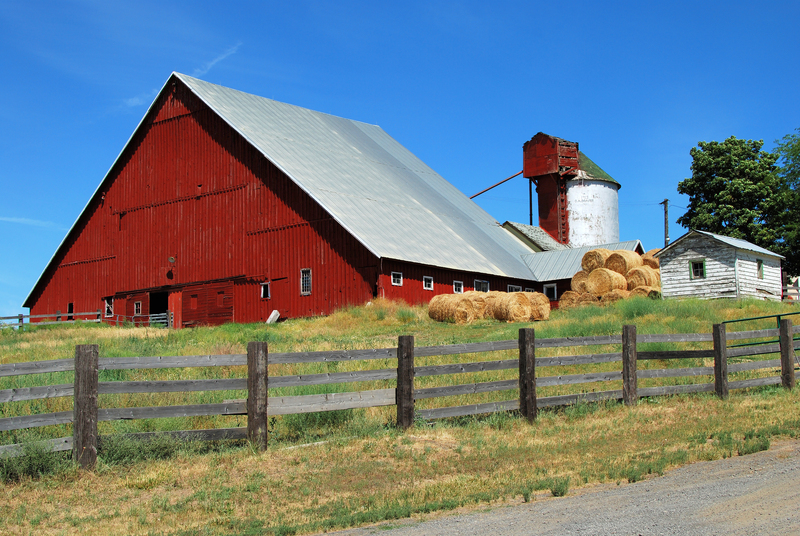 One barn in particular has been a familiar sight to commuters traveling the 8-mile stretch of highway between Pullman, Washington and Moscow, Idaho. Over the years, we’ve watched it slowly succumb to the ravages of time and neglect. 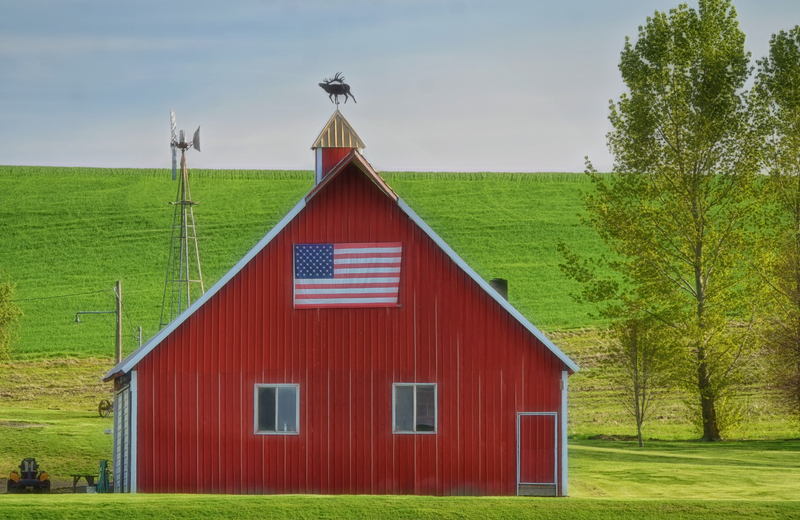 It’s known as the Tucker Barn, and it sits just off the highway, less than a mile west of the Moscow city limits. 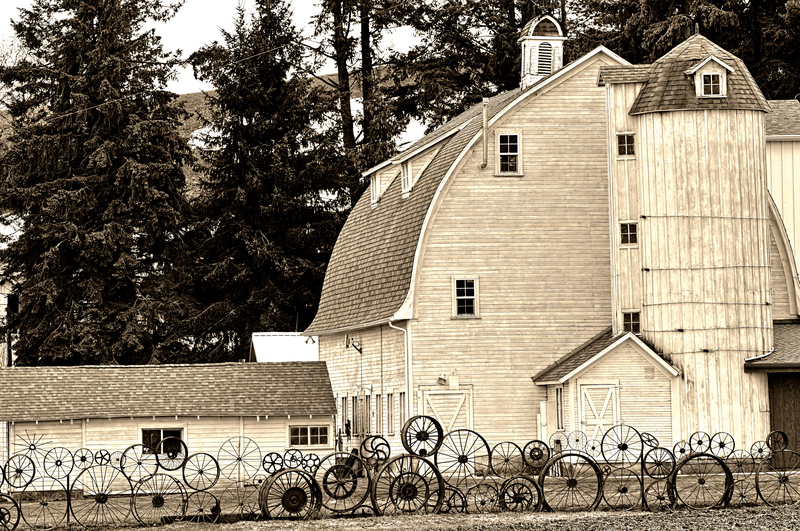 Here’s a photo (scan of 35mm negative) taken in the mid 1980’s of the barn. Note the equipment parked in front of it and trees to the right, since removed. These photos were taken in the spring and fall of 2008. Today (April 2018) it’s little more than a pile of old barnwood. 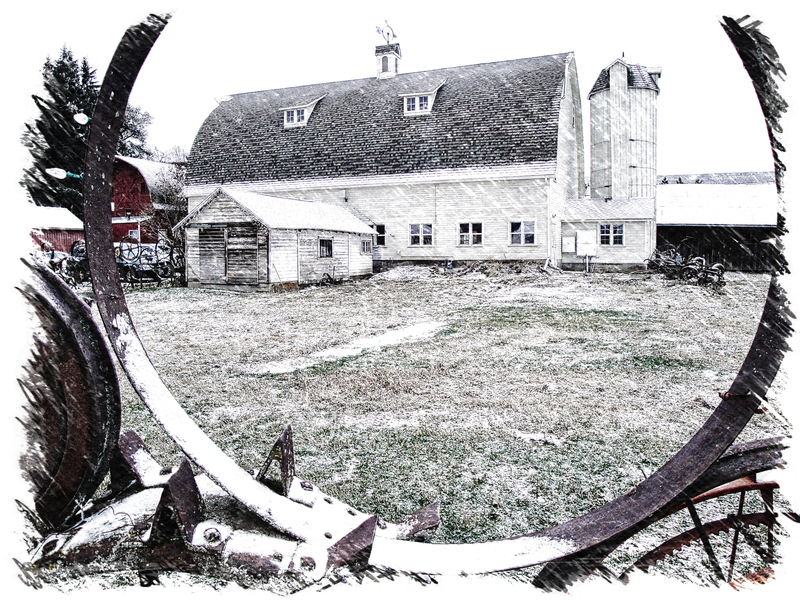 I have been watching this barn decay for years. Thanks for displaying the 1980’s photo to refresh my memory.